I’m a completely different traveler than I was five months ago. Way back when, I was just starting off, still getting my travel legs, and recovering from splitting up with Ben. I was more tentative. I did a lot of standard touristy things (which was fine, and I would do most again) and stayed close to home in the hostels. I was just getting used to making friends on the road. Now I’m just a few weeks from returning to the states, am beginning to think about endings and life after Central America, am not traveling solo anymore, and do the more serious adventure travel stuff like cavern diving. Tulum was one of my favorite places when I first passed through Mexico. In fact, it was the first place I “got stuck”. Tulum around two has struck me in a completely different way. I’ve definitely enjoyed it but it has been so different. This time around, the focus was cenote diving. This was the reason I returned and what I meant to do with my time and money. I linked back up with the now thoroughly-bearded Richard (whose new look reminds me of Joaquin Phoenix during his lost year, especially when he wears my douche bans) after parting in Utila over a month ago. He arrived a few days before me so I hung out with friends he had made in the hostel and checked out Tulum from my seasoned-traveler perspective. Then the magic happened: three days diving cenotes, which was such a special experience that I will write more about soon in detail. Cenotes, my first water love, I am so thrilled to be reuinited with you! 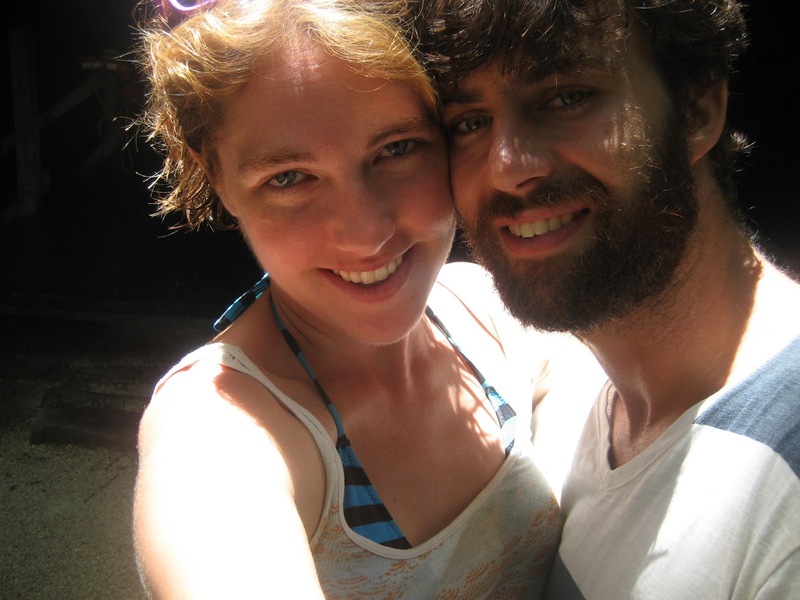 You really should consider traveling with a bearded man. Back the first time round, I had a pack full of clothes I hated because I didn’t want to bring anything I might loose; I picked up my first bikini in Tulum round one and now have a wardrobe of dresses with me. 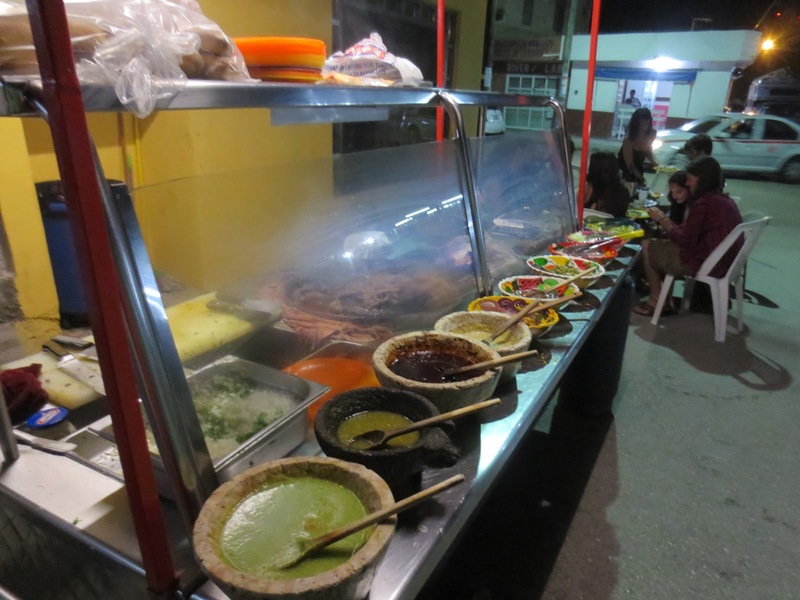 I know better where the cheap tacos are, how to find the good ice cream and public places to hang, that you need to go around the corner to rent the cheap bikes, and how to negotiate the entrance fee down at a cenote. 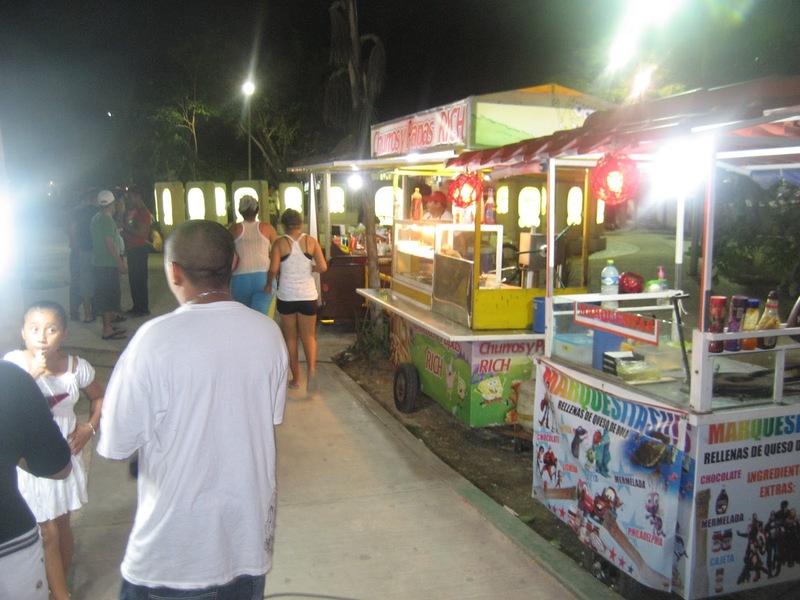 Rich’s favorite taco stand, where they cost 7 pesos ($0.55) and have heaps of excellent toppings. 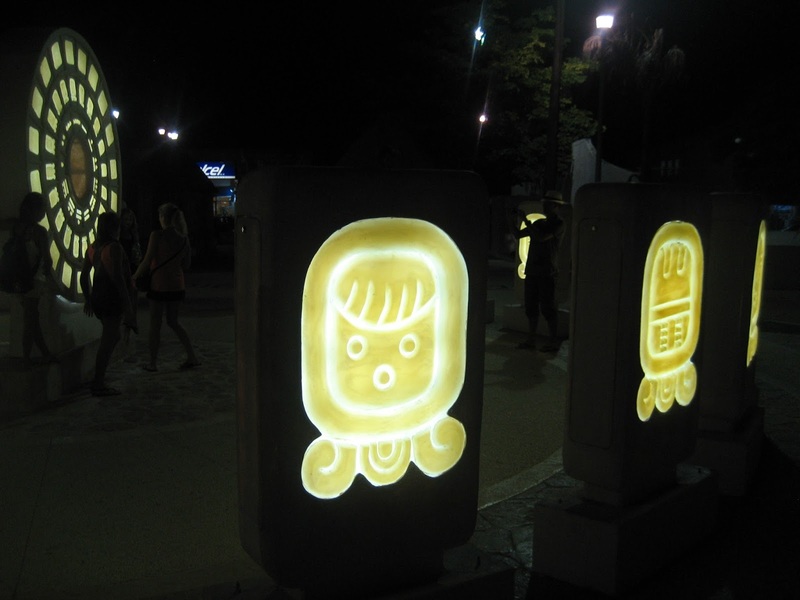 Mayan calendar sculpture in Tulum Parque Central. How did I miss this the first time?? 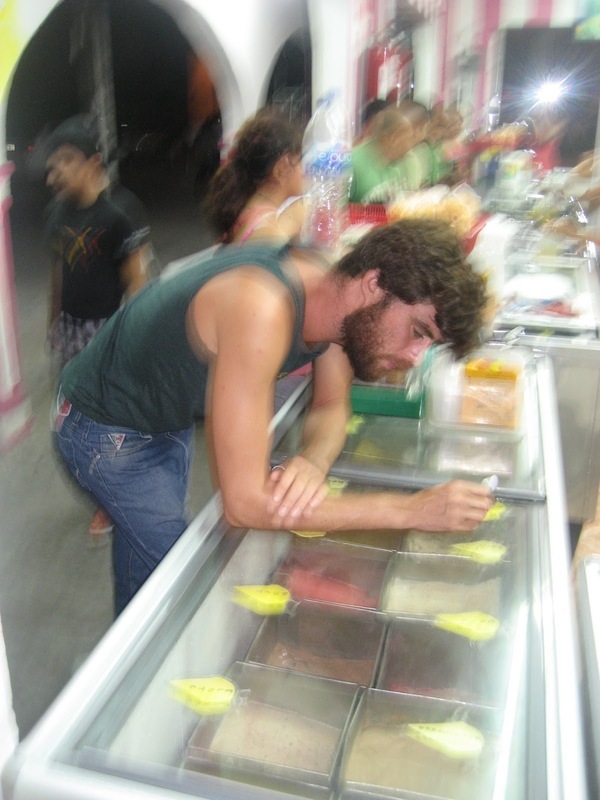 Street food in Parque Central. 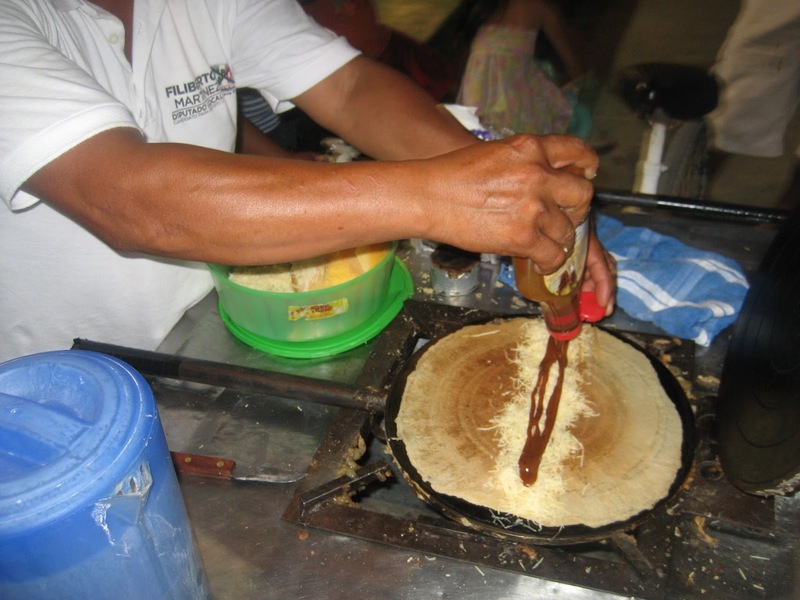 Manquesitas: crispy crepes with cheese and a sweet. I chose dulce de leche. 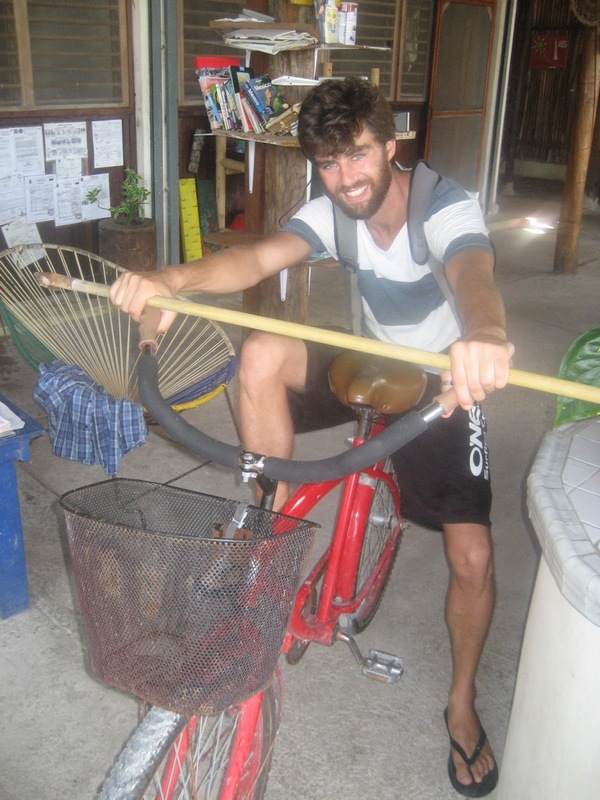 50 peso beachrider bikes from Casa del Sol, cenote bound with a muy bueno stick. 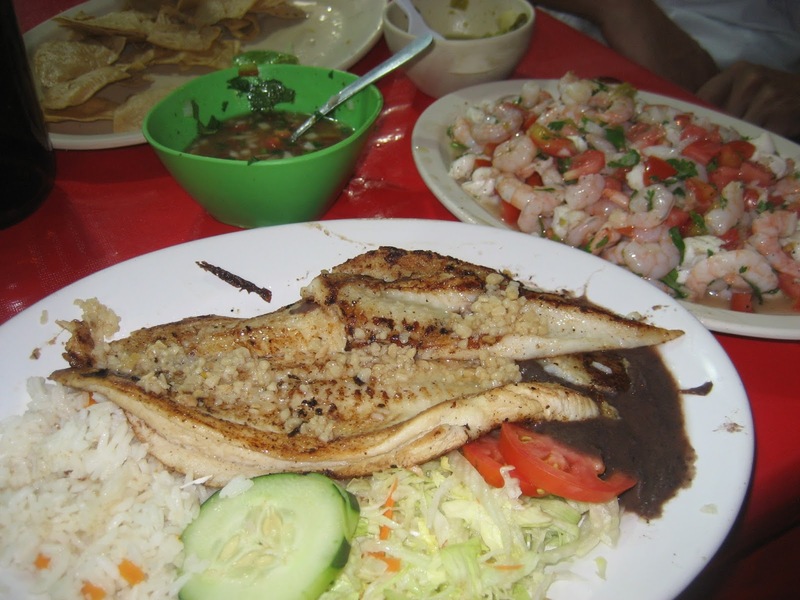 Restaurant dinner of garlic grilled fish and ceviche. Tasty, but bang for the buck tacos are the way to go! !